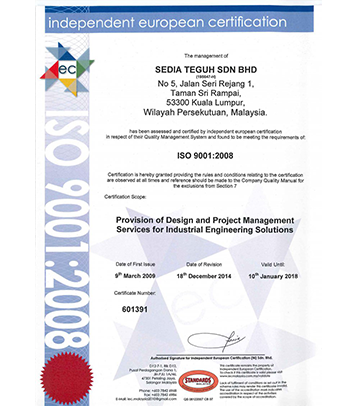 Sedia Teguh is a local Malaysian incorporated company. Since 1990, it has established itself very well focusing primarily on providing quality products and services to the Oil and Gas, Petrochemical, Chemical and Power Industries here in Malaysia. 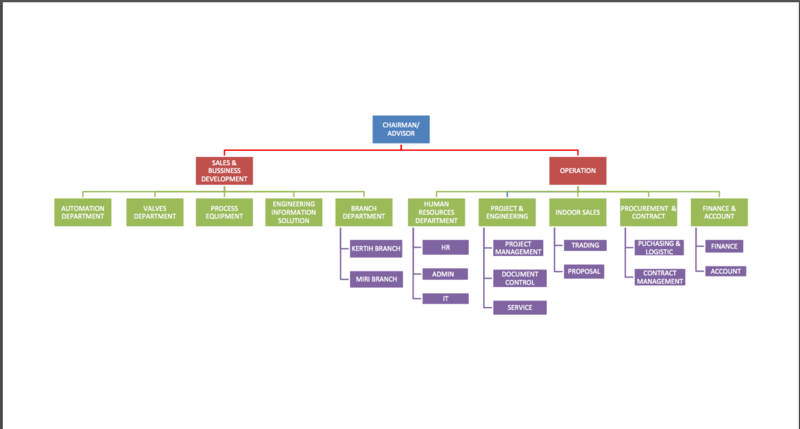 We draw on our in-house and partners' experience to build inhouse capabilities for the organizational growth of the company. Thru strong partnership with various reputable and established manufacturers in the industries served, we have managed to continue to innovate, expand our offering and solutions into some niche areas of application. Thus, we are very fortunate to continue our strong track records with continuing success. We work hard to gain our customers' trust and confidence. 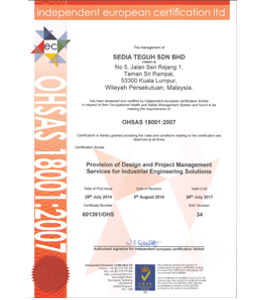 The company's strong commitment to Quality is a continuing improvement process. We hope to grow to be one of the leading solution providers in the industries served. Customer can count of true professionalism at work. Our sole mission is to meet our customer's demand in all aspects of the solutions we are offering. We are fully committed to " Total Customer Satisfaction - Your Goal is our objective " thru On-time Delivery, Quality Products & Services and Local Innovative Solutions. 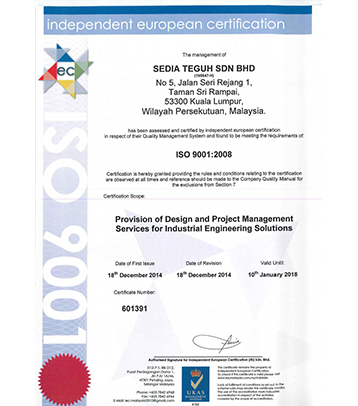 Sedia Teguh envisions being one of the major solutions and technology provider for the industries served in Malaysia. Together with our partners, we will combine our strong technical know-how, field experience and in-house research activities to develop niche capabilities and solutions with value added products and services. 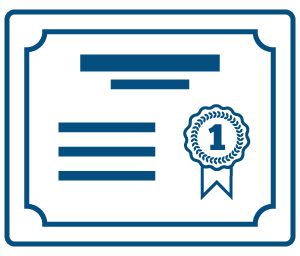 We are dedicated to the Quality Policy to ensure that its products and services fully meets the requirements of its customers at all times. The goal is to achieve a high level of customer satisfaction at all time with the full management and business objective support. This is portrayed by our ongoing continuing process towards Quality Improvement, Product Reliability and Customer Satisfaction.